Akihide Sato was born in Tokyo. He grew up in Hachioji where the nature was still kept with beautiful sunset view. At the age of 14, he started playing the guitar. 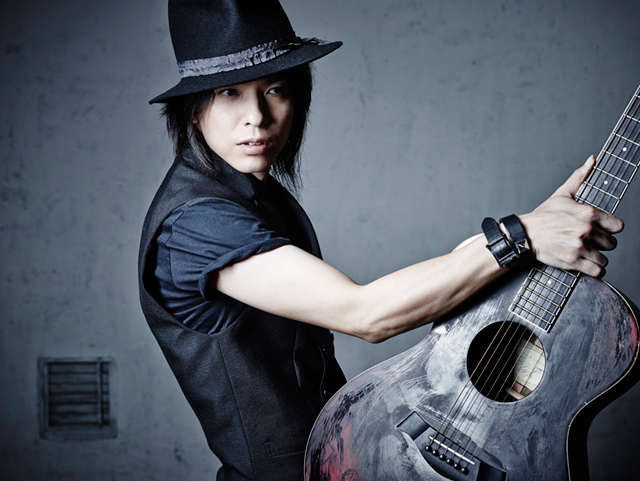 He made his major label debut as the guitarist for FAIRY FORE. FAIRY FORE. After that, he joined DAIGO☆STARDUST’s shows and recordings as a support guitarist. Also he played for NATCHIN (ex SIAM SHADE). He formed NEVER LAND and started playing as the vocal/guitar. He joined Wide Wise Apes, a duo by Yutaka Higuchi from BUCK-TICK and Atushi Okuda. NEVER LAND broke up and BREAKERZ was formed. He joined Acid Black Cherry’s recording and performances. He launched his solo project, releasing his first solo album “Amber”.